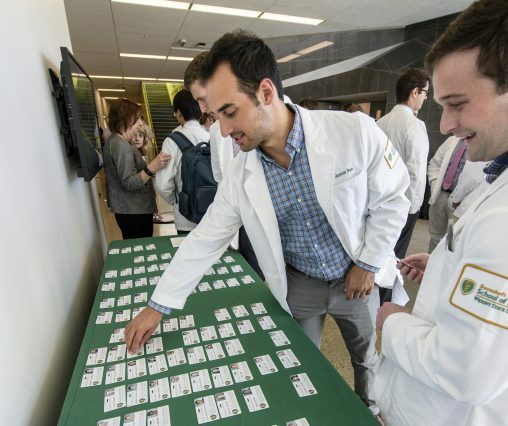 The Wright State University Boonshoft School of Medicine class of 2020 will reaffirm its dedication to the ethics and professionalism of medicine in the Student Clinician’s Ceremony on Monday, July 2, at 6 p.m., in the auditorium of the Student Success Center. The Wright State University Boonshoft School of Medicine is a community-based medical school affiliated with eight major teaching hospitals. The medical school educates the next generation of physicians by providing medical education for more than 459 medical students and 458 residents and fellows in 13 specialty areas and 10 subspecialties. Its research enterprise encompasses centers in the basic sciences, epidemiology, public health and community outreach programs. More than 1,600 of the medical school’s 3,422 alumni remain in medical practice in Ohio.